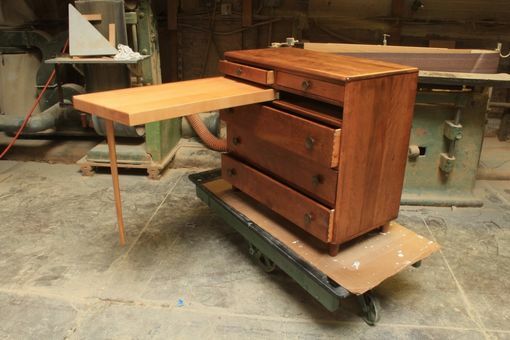 What a curious mixture of machine and hand made furniture. 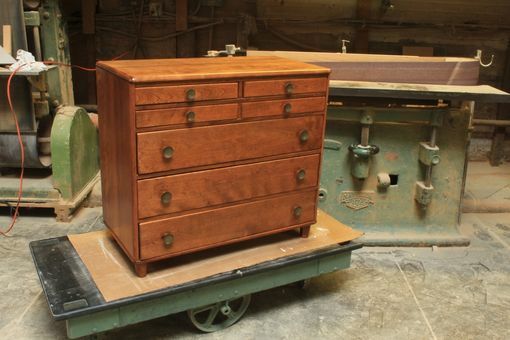 This dresser was another victim of super storm Sandy. 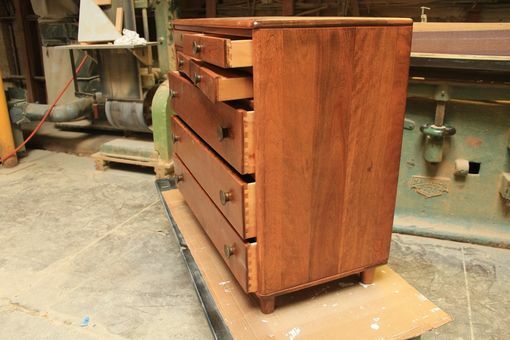 We replaced the dresser drawer bottoms, disassembled and reassembled the drawers. We then striped, sanded, stained and refinished the dresser exterior. The top coat is a conversion varnish.